Raised in a home nearly all his life, Sanetora has been provided for anonymously for as long as he could remember. When his mysterious benefactor offers to foster him, he is more than thrilled—it's like a dream come true! The person waiting for him at his would-be new home, however, is a startlingly young man with a sharp tongue! 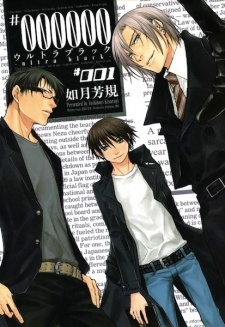 Kanae, Sanetora's foster father, is a businessman who runs a company, and is not without an ulterior motive: Sanetora suddenly finds himself employed! As if that wasn't perplexing enough... It turns out the company is no ordinary company—it deals with strange objects that can turn their owners into freaks of nature! !